I went to Missouri to visit Carol, from June 5 to June 19, 2010. This gallery is a summary of stuff we did and places we went. It was a great time! It will take me a while to post everything, so keep checking back. And Carol, if you are looking at this gallery, don't even THINK of weaseling out of posting your own pictures! If we don't see some of your pictures you will hear from us. At some point I will put up some public galleries about the cemeteries we saw, which were wonderful. All of these pictures were taken with my little Canon SD780 and have had no editing, so take that into account when viewing them. Mt. Mora Cemetery. One of my favorite stones. 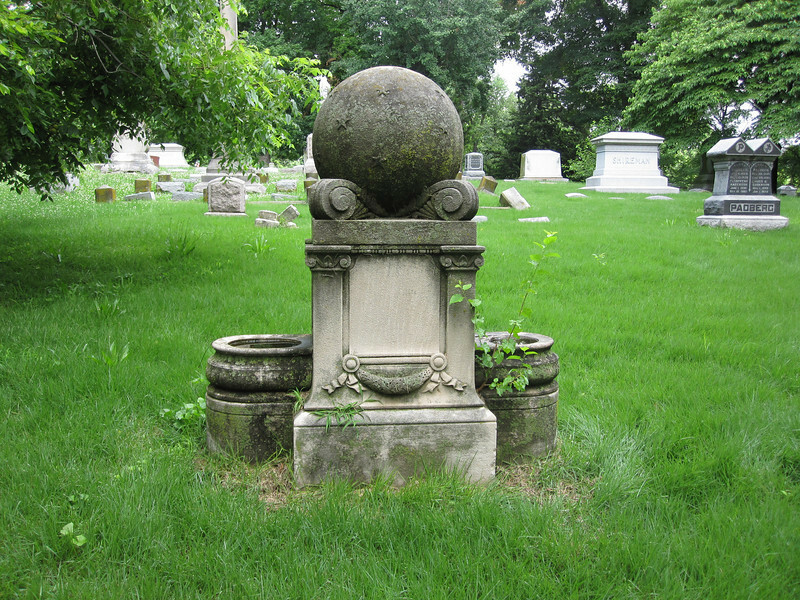 The large sphere, although it doesn't show up well in this picture, has little stars in relief carving all over it--and a crescent moon, too. I think the whole thing is elegant.